Big crowds, long walks and 1,550 works of art. It’s best to have a plan when you visit ArtPrize with kids. Little legs get tired fast. The ArtPrize Guide for Kids will help you to make the most of your family’s time in downtown Grand Rapids. The key to a good experience at ArtPrize is knowing where you’re going and what you want to see. ArtPrize Lists help you do exactly that. Anyone can make or view a list at ArtPrize.org or with the ArtPrize app. Lists record selected entries and provide information about the artist, entry and venue. Most importantly, when you use the app lists give you a walking map of where to go to find the next entry. 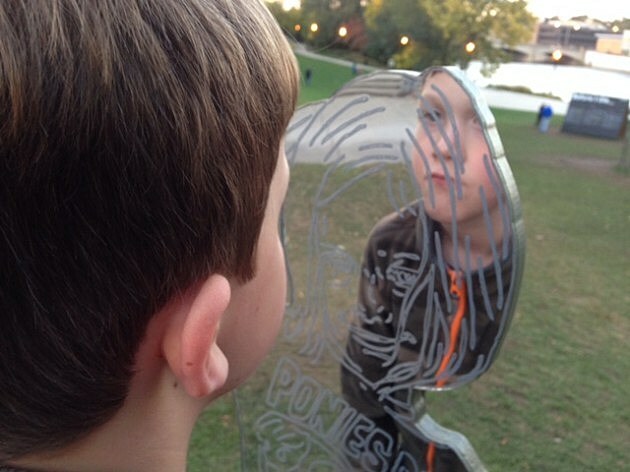 We’ve compiled a few lists to help your family save time and have fun at ArtPrize! Dog and horse lovers will enjoy the nearly 40 entries featuring either dogs or horses at ArtPrize Seven. It’s a theme both kids and adults will enjoy.